Two books arrived in the mail, one for a book tour by the publisher. About: what could happen if technology should suddenly disappear or not be available. About: "When Jocelyn Hillier is named legal guardian for the late Mr. Allardyce's pack of pedigreed Labrador retrievers, her world is flipped upside down." Visit Mailbox Monday to see what books others have on their reading list. In Dog We Trust looks adorable! 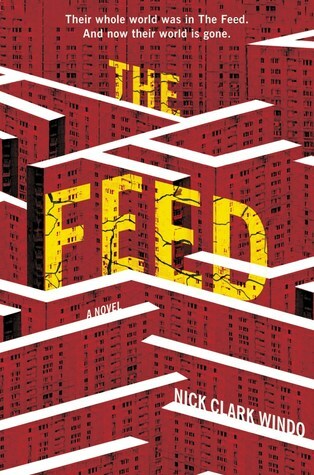 The Feed sounds intriguing. Come see my week here. Happy reading and happy New Year! Harvee, I'm behind in my blogging, due to travel and the holidays, but am attempting to catch up. I've even posted an end-of-the-year meme on my blog. The dog book catches my fancy! Oooh...The Feed sounds intriguing! Enjoy both! Both your books look good. 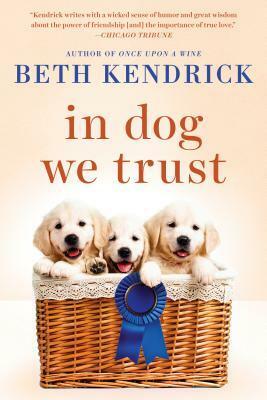 And who can resist those cute dogs on that second book cover. I like both of these. I was eying In Dog We Trust at NetGalley. Donna H, no, it's not one of those sad dog stories. You can read and expect a happy ending!